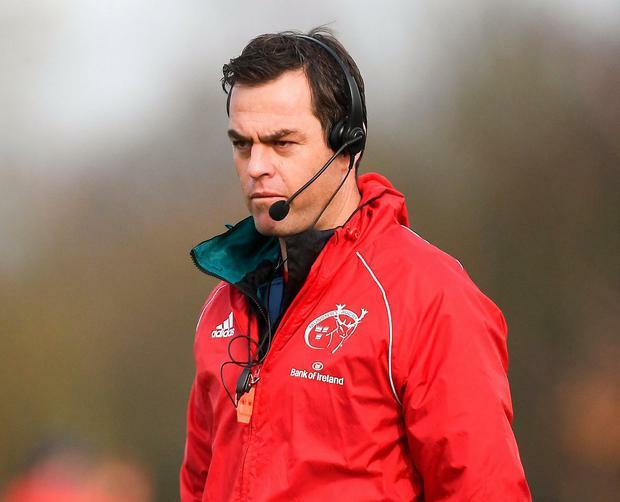 It was already going to be difficult for Munster to catch Glasgow Warriors at the top of Conference A of the Guinness PRO14 and Johann van Graan's team selection reflects that. In the aftermath of last season's PRO14 semi-final defeat to Leinster, the South African coach said his team must find a way of securing home semi-finals when asked about key lessons. Next week, they travel to Coventry to face Saracens and if results go as expected they can expect a return to the RDS in the PRO14 play-offs. Benetton will be licking their lips when they look at a vastly understrength side that features just two starters from the European quarter-final win over Edinburgh - Peter O'Mahony, CJ Stander, Conor Murray and Keith Earls are among the big guns who have been given the weekend off. The Italians drew at the RDS last week and will fancy their chances of going one better against the weakened men in red who are led by Billy Holland. There is plenty of talent in the travelling party but Stadio Monigo is not an easy place to go this season and Kieran Crowley's high-flyers can move closer to a first play-off spot with an eighth home win on the trot. Tonight's hosts are full value for their place on the table and have only lost once, to Connacht, since mid-December. Munster boast a similar record but the selection removes the sense of continuity and comes as Crowley makes just one change to the team that drew with Leinster - Tommaso Benvenuti replacing Luca Morisi. With their strongest team on the pitch, they should have enough to move closer to the play-offs. BENETTON - J Hayward; R Tavuyara, T Benvenuti, M Zanon, M Ioane; T Allan (capt), D Duvenage; N Quaglio, L Bigi, M Riccioni; I Herbst, F Ruzza; S Negri; A Steyn, T Halafihi. Reps: H Faiva, C Traore, S Ferrari, M Lazzaroni, G Pettinelli, T Tebaldi, A Rizzi, T Iannone. MUNSTER - M Haley; D Sweetnam, S Arnold, D Goggin, S Daly; JJ Hanrahan, A Mathewson; J Loughman, R Marshall, S Archer; F Wycherley, B Holland (capt); J O'Donoghue, C Cloete, G Coombes. Reps: K O'Byrne, L O'Connor, C Parker, D O'Shea, D O'Callaghan, N Cronin, B Johnston, A McHenry.